Cranchi has been very active in recent years in both ends of its production; the bigger fifty feet plus yachts and the smaller under thirty feet line where it launched an outboard powered cabin cruiser. 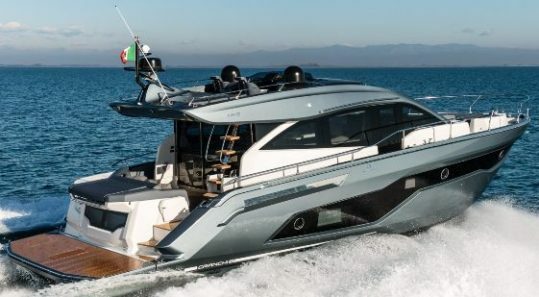 With this new E 52 S Evoluzione, Cranchi aim to fill the void left by the 50 Mediterranee, one of its top selling models of fifteen meters size in the first years of the new millennium. Following recent design trends the E 52 S is of the fully enclosed hard top type, patio door, sunroof for the main deck, and half a flybridge for use as a private solarium. Below the E 52 S makes the best use of the aft located IPS propulsion engines with three spacious cabins of which included is a full beam owners stateroom. Power comes from Volvo 550hp.